The engineers of C.T.S Technology have designed a user-friendly and easily manageable Drone Jammer gun that can provide an effective protection against drones, trying to interfere with the safety, security and privacy of military installations. 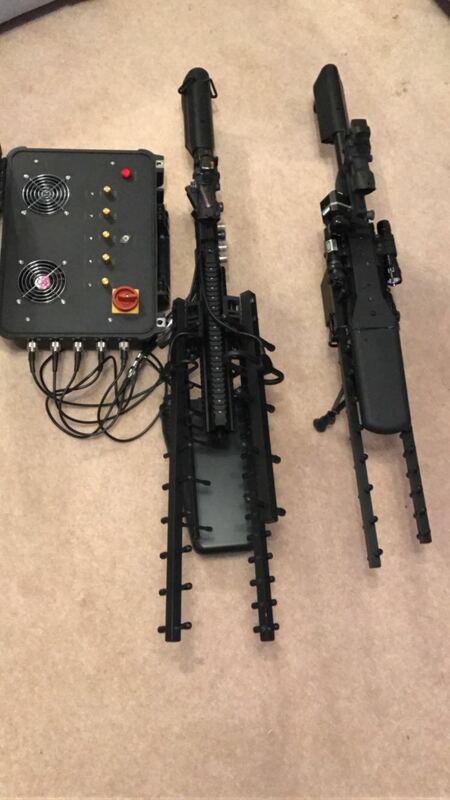 Technology ..
ManPack Drones jammer gun blocker kits were designed by CTS engineers to provide effective protection against drones all remote controlled wireless kits. How to used Drones jammer gun ? • System with its user friendly Tactical Hand Control Unit can easily be operated and managed. • The system can easily be used as a vehicular, stationary or portable jammer blocker with relevant accessories within the flexible utilization concept. The system provides effective protection in every kind of usage areas, transportation and deployment with relevant accessories. • ManPack Drones jammer blocker can easily be mounted to any vehicle in a short time without permanent modification to be used as a vehicle jammer blocker. • Manpack jammer blocker kits can easily be used both in the hand case as a portable jammer blocker and on trolley.